Notably, Indonesia is one of the most disaster-prone nations on Earth due to its position straddling the so-called Pacific “Ring of Fire”, where tectonic plates collide. 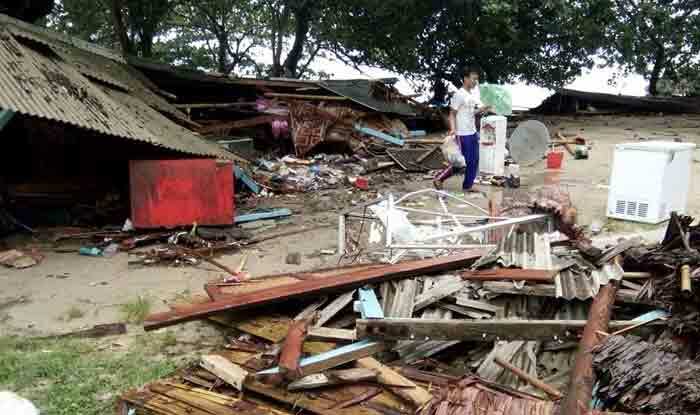 Hundreds of buildings were destroyed by the wave, which hit the coast of southern Sumatra and the western tip of Java about 9:30 pm (1430 GMT) on Saturday after a volcano known as the “child” of Krakatoa erupted. The European Union on Sunday offered its condolences and promised aid to the disaster hit nation. In a letter addressed to Indonesian President Joko Widodo, the president of the European Commission, Jean-Claude Juncker said that they were ready to assist in rescue efforts. “I was heartbroken to learn that tragedy has once again struck Indonesian shores,” Juncker said before sending his heartfelt condolences to the families of the victims and wishing “all the strength and courage to the emergency service currently at work” in the affected area between the islands of Sumatra and Java. The president of the European Parliament, Antonio Tajani, also sent his prayers to the tsunami’s victims via Twitter, adding that the EU stood ready to assist the Indonesian authorities. Notably, Indonesia is one of the most disaster-prone nations on Earth due to its position straddling the so-called Pacific “Ring of Fire”, where tectonic plates collide. Most recently in the city of Palu on Sulawesi island a quake and tsunami in September killed thousands of people.